It’s that time of year again, where the trees take on glorious hues, temperatures get just a bit crisper, and pumpkin suddenly becomes the flavor of the moment. If you enjoy these little things that make fall so special, then you’ll want to get the most of them by taking a trip somewhere that embraces the autumnal mood. Airbnb is making it so much easier to explore these fall-centric towns, by giving you the chance to see things from the vantage of a local home owner. You and your friends and/or family can have a house all to yourself and never feel like you have to make the bed. These eight places boast beautiful scenery, awesome community festivals and fabulous nearby food that will warm you up when the nights start getting cold. And some may only be a car ride away! 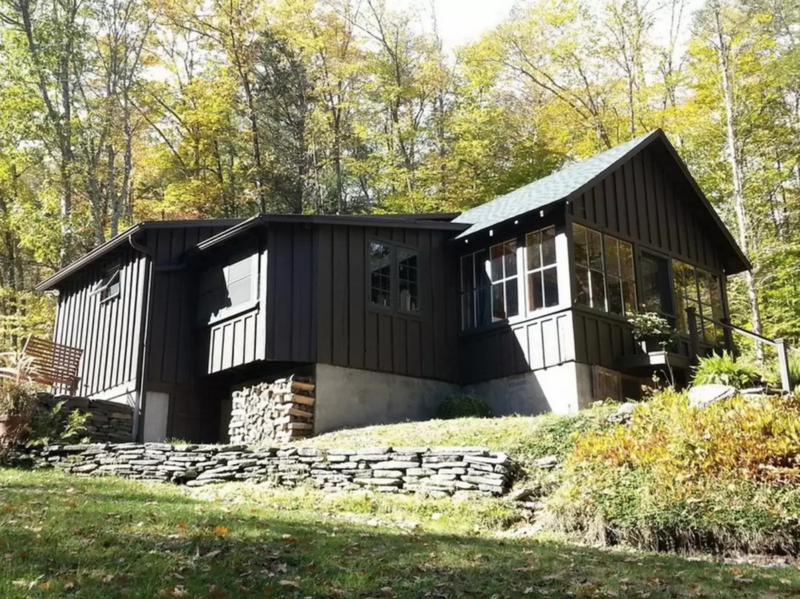 This gorgeous cabin sits on six acres of upstate NY forest, near a fishing stream and waterfall. It’s smack in the middle of the Catskill Preserve, but you’re only five minutes from the adorable town of Poenicia and the funky Woodstock. You should definitely head up for the Rhinebeck Arts Festival happening the first week in October. 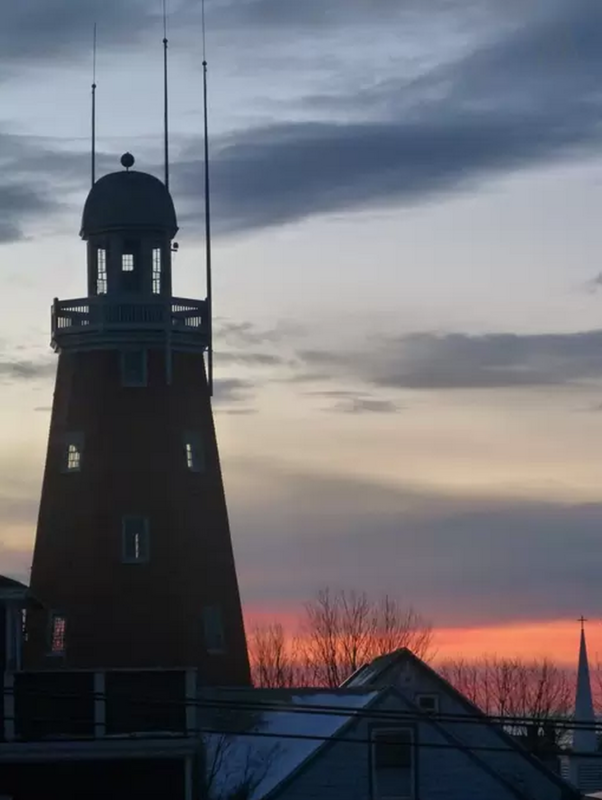 This seaside house gives you quintessential autumn sunsets, plus a direct view of the historic Portland Observatory from the living room. You’re also steps from the trendy Munjoy Hill in downtown Portland for great eats, shopping and the beautiful Eastern Prom Park, which positively glows when the trees start to change in late September/early October. Be sure to check out the Great Maine Apple Day at the Union Fairgrounds on Oct. 18. 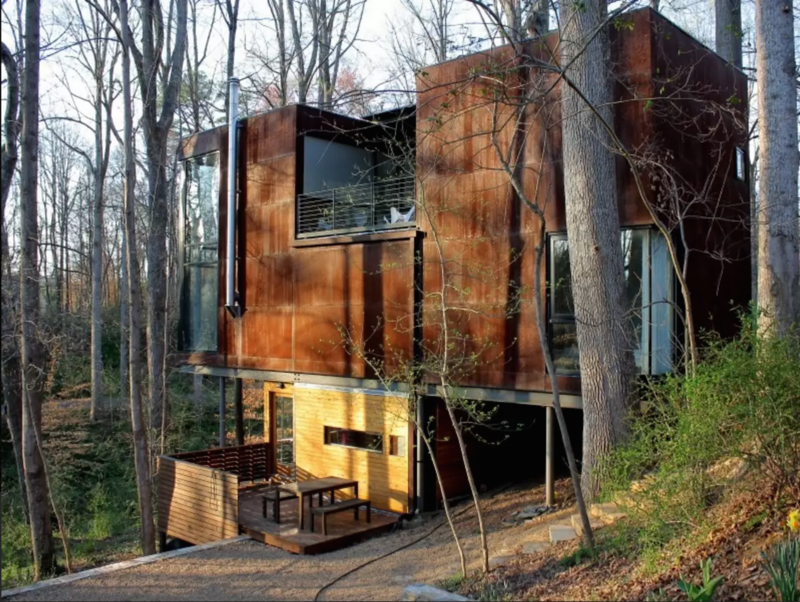 The rolling Blue Ridge Mountains are the backdrop for this awesome, modern treehouse. It’s walkable to what they call Asheville’s “locals downtown,” or the less touristy side of Asheville, where all the artists reside. This is also where you’ll find the best restaurants, live music, markets and yoga studios. Asheville offers a vast range of activities, including Oktoberfest, several wine tastings at local vineyards and even a free, outdoor barbecue in the fall. 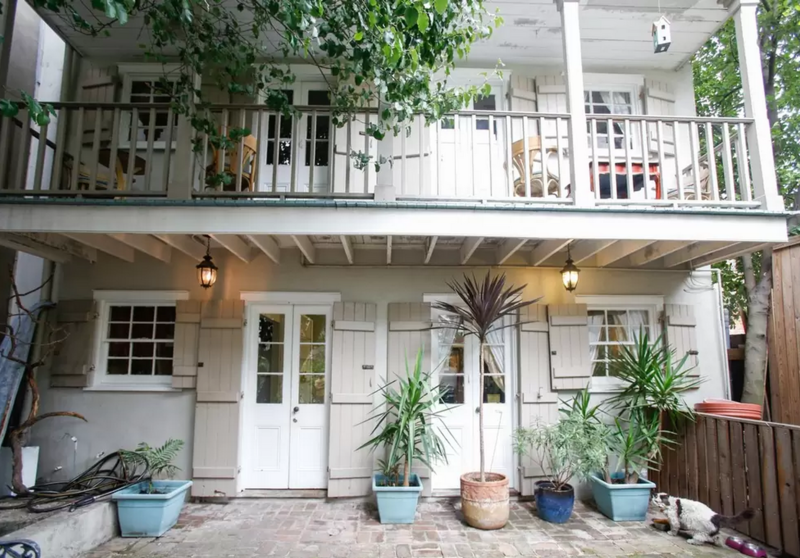 This lovely New Orleans-style abode is away from it all and still just steps from the bustling Bourbon Street. It has its own romantic courtyard, in case you feel like cooking one night instead of going out on the town. While New Orleans may not have colorful autumn trees, it makes up for it with unbeatable nightlife that you can enjoy without the oppressive heat of the summer months. If you like grand oaks and crystal blue skies, this cozy house is where you want to be. 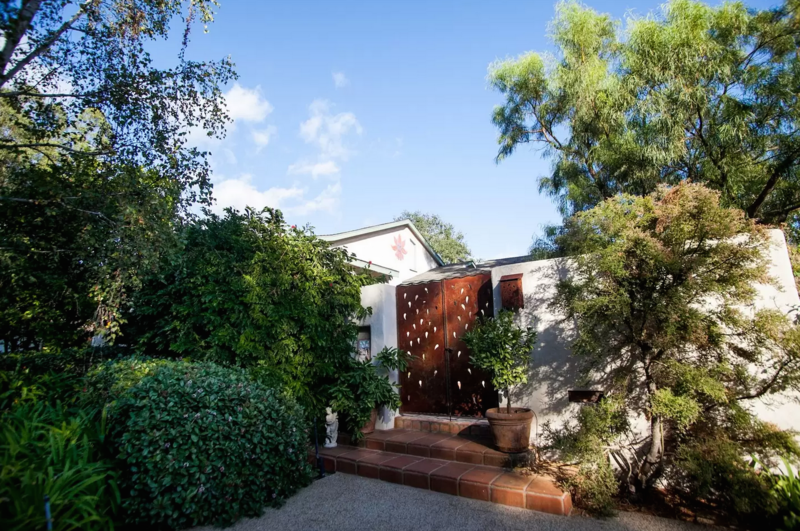 Santa Barbara is ideal for someone looking for an adventure or a quiet retreat in the woods. The house has a sprawling back yard, gas grill, and hot tub for ultimate gatherings at home. If you’re looking to go out, October is the month for wine tastings, as many vineyards get new samples ready for Harvest Weekend, which starts Oct. 9. 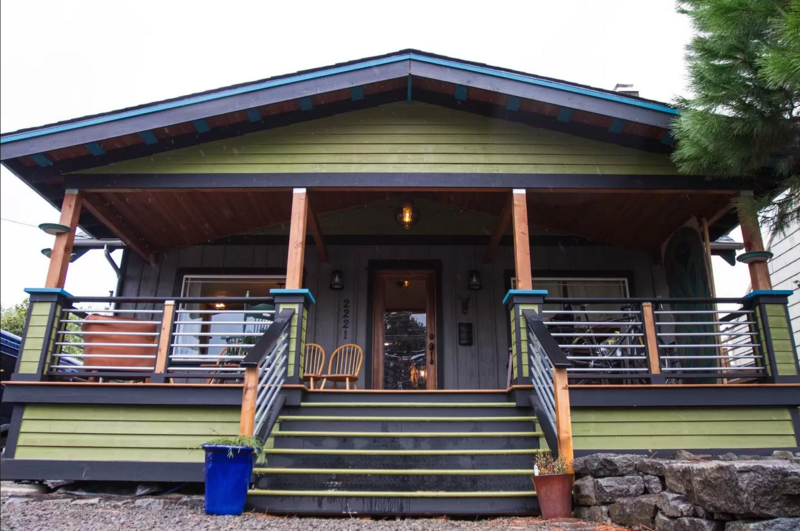 This ecclectic craftsman is right in the midst of Portland, Oregon, where you can enjoy good food and laid back vibes. The couple who owns it actually designed and built it with their own two hands — an attitude that goes perfectly with Portland’s creative pulse. If you’re a basketball fan, you can take in a Portland Blazers game at the Moda Center. If not, the town has so many activities to offer in autumn, including two corn mazes on Sauvie Island — about 25 minutes north of the city. 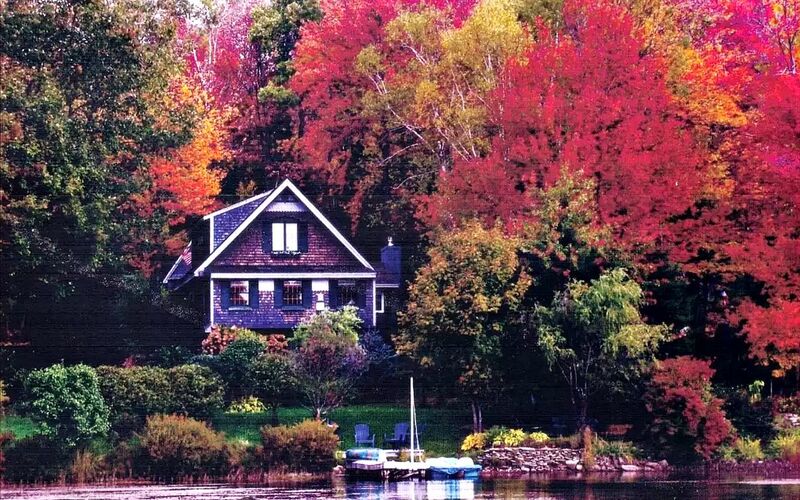 This farmhouse in Loudon, New Hampshire is the definition of autumn in the country. It’s on a working farm, which means you don’t have to go too far for entertainment, because they have friendly animals you can play with all around! There’s a pig named Charlotte who lets you scratch her belly, Angus, the lop-eared bunny and Tazzy the house pig (because everyone needs two pigs, right?). You can even take their cattle for a ride and buy locally sourced milk, eggs and produce. 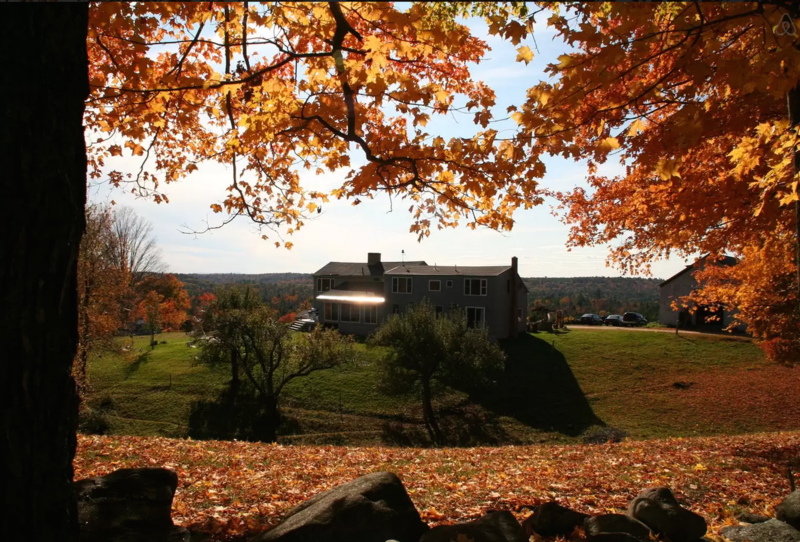 What could be better than experiencing the simple farm life surrounded by gorgeous New Hampshire foliage? This stunning cliff house won the “People’s Choice” for best house on the Sedona Art and Architecture Tour in 2006. 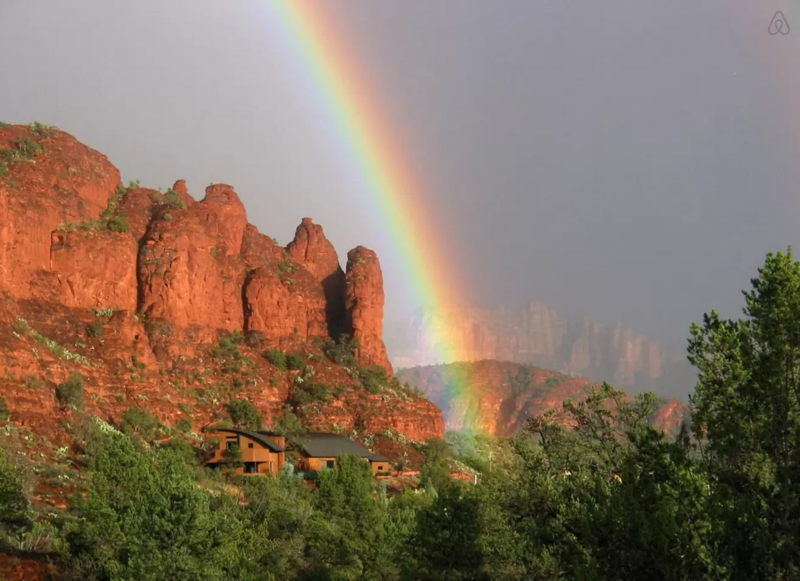 It has totally unobstructed views of the pristine Sedona landscape, which is always bathed in that orange glow for which the locale is famous. It’s also a green passive solar home, so if you’re environmentally conscious, know you’ll be emitting very low energy when you stay here. The property borders a national forest and is in a rural setting, so it’s ideal for hikers and nature lovers. If you’ve never experienced the southwest, Autumn is the perfect time to go, because it’s cool, but not cold, and the brilliant colors are clearer and crisper than any other time of year.